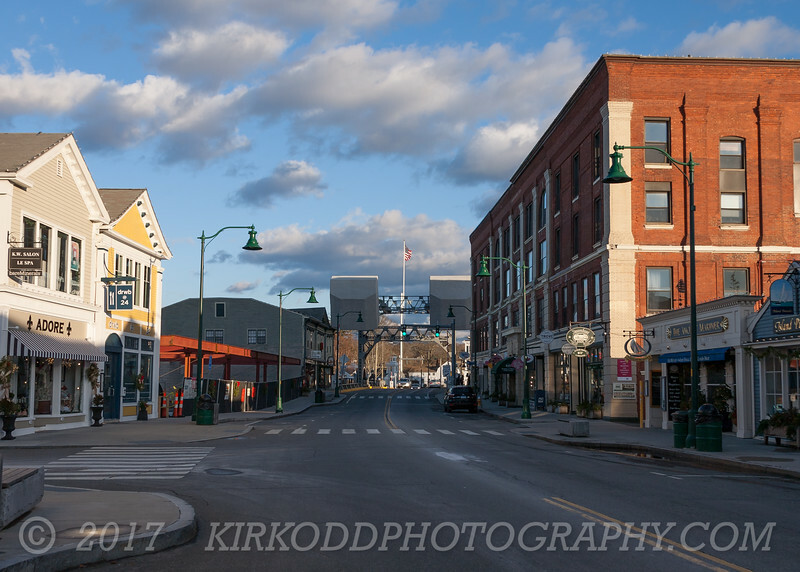 Here is a beautiful picture of downtown Mystic, Connecticut. The historic drawbridge is visible in the background. This was taken on Christmas Day, 2017.